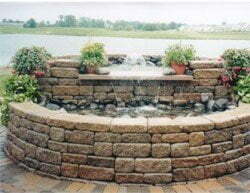 We carry a wide array of masonry supplies including bricks, natural stone, pavers, treads, veneer stone and wall systems. As if that weren’t enough, our selection rivals our competition — and our prices do too. With a selection like ours, imagine what you can build! How would you like your yard to look? Choose from our selections below. 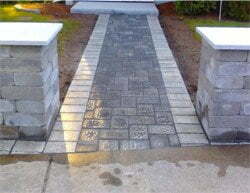 Pavers are a great durable alternative to natural materials for any project big or small. 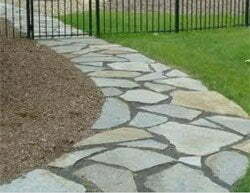 Some pavers now look so similar to natural stone that you get the natural look without the cost or fragility of natural stone. 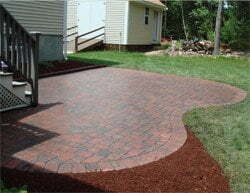 Pavers are virtually maintenance free; though there are a few things you can do to enhance their appearance and longevity. When using pavers be sure to use sand directly underneath, never use stone dust, this will promote something called efflorescence, a white substance coming through to the top of the paver. You always want to make sure you have at least 4 inches of a sub-base, keep your product durable for many years to come. 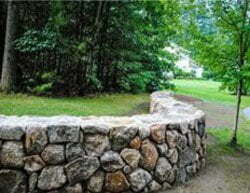 Natural Stone can be used for many reasons in many ways such as a dry-stack wall, structured wall, walkway or patio. The reason it can be used in many ways is mainly because there are many different sizes of natural stone such as thin, round, thick, square, long, jagged and short. 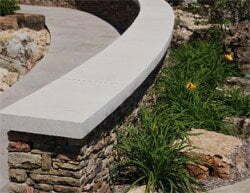 When laying natural stone you should have a good base of stone dust underneath the stone, this is also what will be shown in your joints of the natural stone. When constructing a wall you can dry-stack (no mortar/cement) which takes a little more fitting and wedging but is a more natural look or you can mortar the wall together which is a little more sturdy and has a clean cut look. 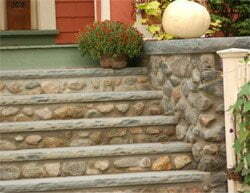 Treads are a great way to dress up practically anything available in many different natural stones. 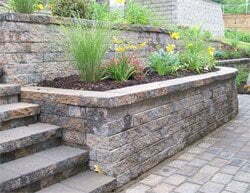 The main use being stairs, but can also be used to cap sitting walls and edging for pool coping. Treads are 2” thick, widths up to 24” and come in anything length needed up to 10’ long. You will mortar these in place. We carry many different Wall Systems used for many different reasons, such as 2’ homeowner to multi-tiered commercial walls. Each wall systems have its own building instructions, but one thing true to all walls is to have a very sturdy base with a great drainage system.